Nicole Fabian-Weber is a writer living outside of New York City with her husband and three children. She loves home design, yoga, and apparently clichés. "Work is where I go to de-stress," said no one ever. Whether you're passionate about your job or spend all of your free time polishing your resume in hopes of greener pastures, there's no two ways about it: Work can be stressful. And office spaces? Even with a well-stocked snack supply, they don't exactly exude a sense of serenity. Most people know that stress, regardless of its origin — can be the catalyst for a variety of emotional and biological issues, including increased anxiety and depression and even heart disease. But how many are actively taking steps to reduce work stress on a daily basis? Not nearly enough. From the perfect lunch to mindfulness techniques, here's how to hack your workplace for a stress-free day. A good day usually starts with a good night's sleep. 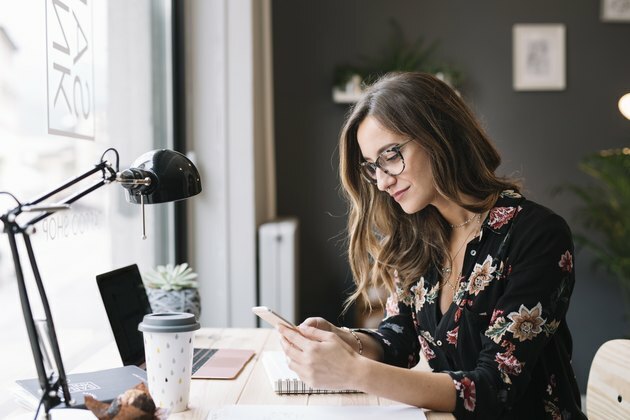 So if you're skimping on sleep in order to hang out with friends or catch up on your latest Netflix obsession, there's a good chance you're going to wake up groggy and less inclined to take the proverbial bull by the horns at work. Without enough rest, your performance at work suffers. You're more prone to burn out, poor decision-making, mistakes and the inability to recover from distractions in the workplace, according to the National Sleep Foundation. If you've heard it once, you've heard it a thousand times — aim to go to bed and wake up around the same time each day, logging seven to nine hours. Read more: 12 Foods That Help You Fall (and Stay) Asleep! In a cruel twist of irony, the most often-skipped meal of the day is also the most important. Not only does sitting down to the right breakfast each morning help you make better food choices throughout the day, it makes thinking clearly and combating work stress easier. "The reason breakfast helps with brain function is simple — your brain runs on glucose, or sugar," says Patricia Bannan, RDN, author of Eat Right When Time Is Tight. "When you awaken, your blood sugar levels are low because you haven't eaten for eight to 12 hours. Properly fueling up each morning will positively affect tasks that require retaining new information and help you feel better emotionally and physically." For a healthy, filling breakfast, Bannan suggests her blueberry power muffins, oatmeal with almond butter or plain Greek yogurt with blueberries. Taking five to 10 minutes to practice Mindfulness-Based Stress Reduction (MSBR) — either on your commute or before you leave the house — can go a long way to easing stress throughout your day, says Nancy Douglass, a therapist and executive coach at the Stress Management Counseling Center in Clinton, NJ. "MBSR helps because it trains your brain to be more present," she says. "When you're more present, you tend not to get overwhelmed and look ahead at all the many tasks yet to do — instead, you mindfully concentrate on the ones at hand, effectively reducing your stress." If you're pressed for time, Douglass recommends doing a mini-MBSR exercise to reel yourself back in if you catch yourself stressing. Ask yourself if what you're stressing over is in or out of your control, and then let go of anything that's outside of your control, such as a difficult person at work or a deadline you can't change, she says. "Also, reminding yourself frequently that you can 'only do the best that you can do' will go a long way in keeping work stress in check." 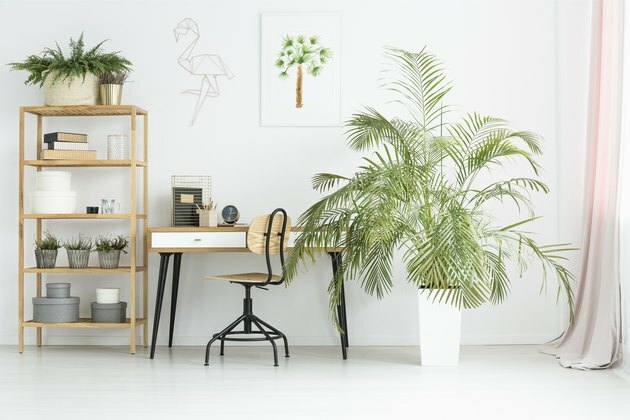 Not only are plants a fun, affordable accessory for any cubicle, they'll make you more productive and will help you deal with work stress, too. A 2011 study published in the Journal of Environmental Psychology showed that the mere presence of plants in an office can positively affect one's attention span. How? Plants help activate your undirected attention systems — the part of your brain that's effortlessly drawn to the attractive or interesting aspects of our surroundings — and this, in turn, gives our directed attention systems — the part that's capable of staring at a spreadsheet for extended periods of time — time to rest and rejuvenate itself. When stress creeps up at work, take a walk! A 2015 study published in the Scandinavian Journal of Medicine and Science in Sports found that participants reported feeling less tense, less stressed and more productive after walking. Cecilie Thogersen-Ntoumani, the study's lead author, wrote that, "Lunchtime walks improved enthusiasm, relaxation, and nervousness at work." Bonus points if said walk can be done in nature, which also has been shown to be effective in reducing stress, according to a 2011 study in Public Health Reports. 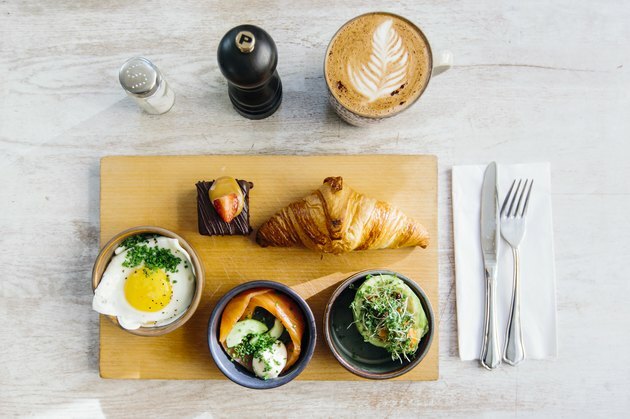 Just as choosing the right breakfast is important for combating work stress, so is your lunch selection. Ideally, you want to avoid meals that are too heavy and make you feel sluggish, instead opting for foods that will energize you and that have staying power (think lean proteins and fiber). 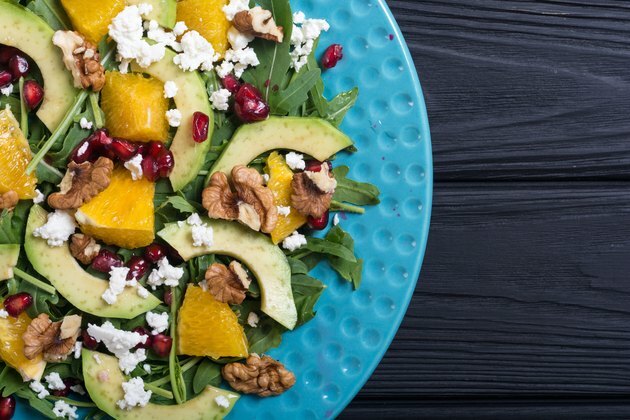 "A salad or Buddha bowl made with a large base of greens and other veggies, a lean protein, such as wild salmon, chicken breast or beans, a small scoop of quinoa and a drizzle of tahini sauce is a great workplace lunch," says NYC- and Los Angeles-based dietician Cynthia Sass. "Other options are a taco salad (skip the fried shell!) with greens, grilled veggies, pico de gallo, a scoop of black beans and either half of an avocado or a quarter cup of guacamole; or a veggie broth-based soup with beans, like white bean and kale." Keeping a small essential oil diffuser on your desk can be helpful once that dreaded 4 p.m. slump rolls around. "For an afternoon energy boost, try using a combination of peppermint and lemon in a diffuser, or apply to your temples, wrists and between the collar bones after diluting with a carrier oil," says Kac Young, Ph.D., author of The Healing Art of Essential Oils. Young, who's also a certified meditation teacher, also recommends breathing deeply when work stress starts rearing its ugly head. "Take a long, slow breath in through your nose, first filling your lower lungs, then your upper lungs," she says. "Hold your breath to the count of three, then exhale slowly through pursed lips, while you relax the muscles in your face, jaw, shoulders, and stomach." It's inevitable that at some point or another in your career, a coworker or superior is going to make a rude comment or offer unproductive criticism — be prepared. "In The Four Agreements by Miguel Ruiz, he says, 'Don't take anything personally. Nothing others do is because of you. What others say and do is a projection of their own reality…' This couldn't be more true," Douglass says. "If someone deals out harsh criticism or rude comments at work, keep in mind that it's more about their need to offload the negativity and possibly their bad day than it is about you. When people are secure in themselves, they take the time to be respectful of others, not hypercritical and demeaning. If you can keep this truth in mind, you will be able to quickly shake off the salty comments and get back to the tasks at hand." How Does Blood Pressure Affect a Person's Blood Sugar in a Diabetic?